Do you suffer from back pain? 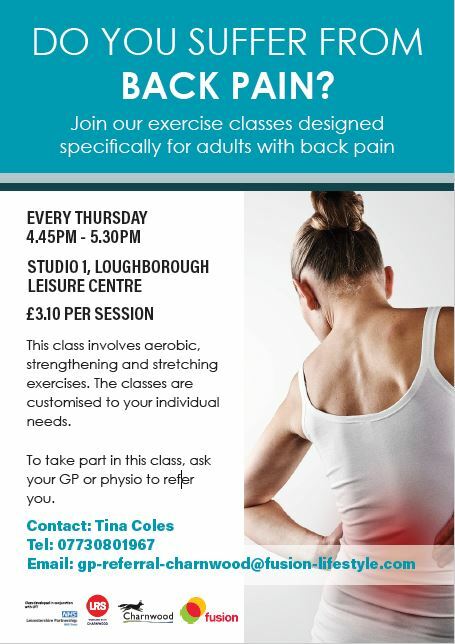 if so join our exercise classes specifically for adults with back pain. This class involves aerobic, strengthening and stretching exercise customised to your individual needs. To take part speak to your GP or Physio.